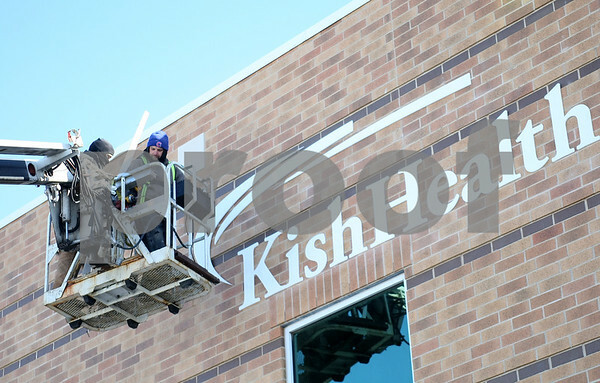 Juan Cisneros (left) and Adam Lapa, with Aurora Sign Co., place the logo on the new KishHealth System sign on the former DeKalb Clinic in Sycamore on Saturday, February 28, 2015. The switch is two years in the making, and will triple the number of providers under KishHealth System's Physicians Group. Officials say that the transition should be seemless for the clinic's 32,000 patients.